Masonry is alive and vibrant in many Maine lodges, often producing or the result of increasing membership. The average age in these lodges is usually under 60, officers are in their thirties or forties, and none of the chairs are filled with Past Masters. These lodges usually work at least one degree every month; and work throughout the year – no summer or winter off. Who are they? A few are: Saco Lodge #9, Webster Lodge #164, Mechanics Lodge #66, Tuscan Lodge #106 and Benevolent Lodge #87. The not-so-good news is that since 1959, we have seen a steady decline in the number of Maine Masons; from a high of about 48,000 to under 20,000 today. Every fraternity – the Elks, Eagles and others – is going through the same thing. Fortunately, the Masonic stalwarts of past generations continue to give and give to the fraternity they love so much, hoping that the time will come when more new Masons will step for- ward to assume the reins and the work load. This news is not surprising. We have all heard about declining membership over the years. In fact, many Masons (including myself) were never around in those hay days when lodges were steadily showing increases and working every week. So, what’s the answer? Why are some lodges welcoming so many men to the Craft, while others do not? Why do some lodges have a large cadre of Masons in their 20s and early 30s, while other lodges have none? There is no one magic solution, but perhaps the answer lies in the individual lodge’s culture. Once lodge members all work together towards the same goal, view the lodge’s success as their own personal responsibility, and determine what will attract men to their lodge, the lodge will begin to turn the corner. But the question is what do we need to change? The basic fundamentals of Freemasonry must never change. We must stay true to our Masonic principles, our love for each other, our love for country, and our love for the Grand Architect of the Universe. Towards those ends, our Deputy Grand Master, R.W. A. James Ross is asking every lodge to be represented at one of the regional membership seminars. 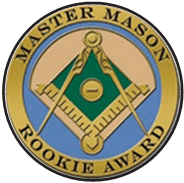 These seminars will begin with a light dinner at 6:00 PM, after which we will outline the steps, goals and measures we plan to take to strengthen our Craft, including a review of the very successful fellowship night program, the fall open house, the new Rookie Program, and how to identify good men as potential Masonic candidates. The sessions will end by 8:30 PM. Who should attend? Any Mason who has an interest in the success of his lodge and the success of Freemasonry in Maine. At a minimum, all District Deputy Grand Masters and each lodge should be represented. Every Master is asked to ensure that at least one brother represents his lodge. To ensure there are sufficient food and program materials, all participants are asked to pre-register for the program. For information write to: R.W. Richard Bergeron, Jr., 81 Everett Rd, Poland, ME 04274, or email rickbergeron@fairpoint.net. For more information, call 207-240-5752.